Scroll down for details about tool kit items. After you've submitted your request to build a tool kit, we'll talk to you about pricing as some items may be out of stock or different from what it listed. For prying off bike tires. Magnetic! They stay together in your bag. 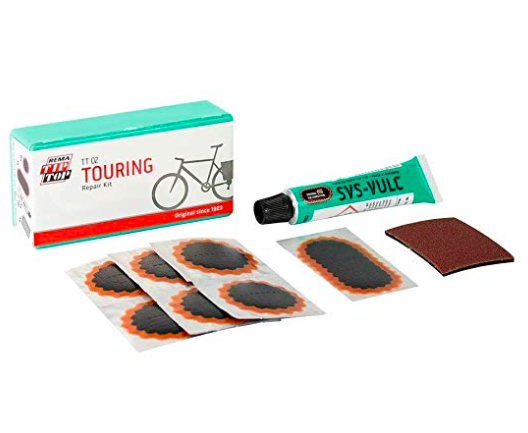 Includes: Volcanizing glue, patches and sand paper, plus instructions! Fits a basic tool set, reflective tape on back, made from recycled bike tubes. Small enough to fit in saddle bag, large enough opening to fit around axle nuts on your wheels. Fits presta and schrader valves, 115 max psi. 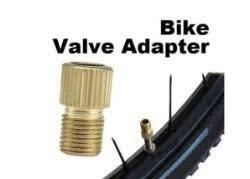 Allows you to convert your presta valve type to a schrader valve so that you can inflate your tubes at gas stations or with any bike pump.